If you're going to be a serious video poker player, you really shouldn't be without the WinPoker software program. There is no easier or more enjoyable way to learn how to make the correct hold/draw decision for every hand in any game. WinPoker comes loaded with the 15 most popular games, including 10/7 double bonus, jokers wild, deuces wild, and 12 others. It's like having practically any video poker machine right on your computer. WinPoker is easily installed, there is on-screen help and technical support to ensure you'll have a great time with the program. Becoming an expert at video poker was never easier or more fun. For all the details about WinPoker click here. Three Card Poker, also known as Tri and Tray Card Poker, is quite an interesting game. It basically represents everything that comes with the regular kind of poker but is limited to just three cards. Plus, it has some entertaining twists along the way. A variation of traditional poker that gives a lot of opportunities to win, Three Card Poker fast-moving and plenty of fun. One of a few differences between this game and the more conventional form of poker is that you play against the dealer, not other players. There are some small changes in the hand rankings, too, including a higher payout for the straight than a flush, which can be surprising, but that's just because there are more ways to make the flush with three cards than with scoring a straight. Additionally, it is actually two games in one: "ante/play" and "pair plus". The latter is a bonus bet, which is usually optional, however, some casinos may require you to play both. With three cards for the player and three cards laid face down for the dealer, the player must then decide between those options. The first one starts with placing an ante bet and deciding whether to make a play bet, which must be the same as the ante or fold by throwing away the cards and therefore forfeiting the ante amount. When the bets are made, the dealer uncovers his cards. If there isn't a queen high enough or better, he is disqualified and can't continue. He must then pay whoever is still in the game and has a straight or better, which is the amount consistent with the full pay ante bonus table. So, it comes down to a one-to-one (push). 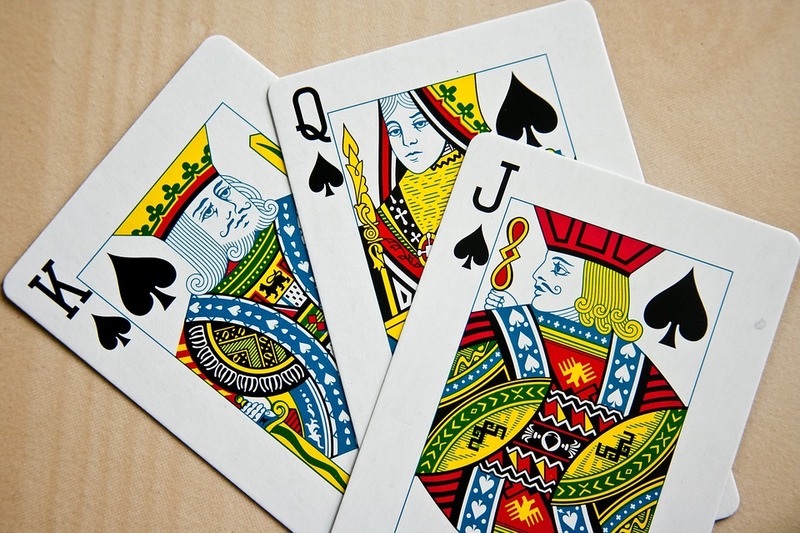 If the dealer has a qualifying hand, it is then compared to the player's and the best one wins. The tie, of course, means a push. It should be noted that a straight or higher pays the ante bonus regardless of the dealer's hand value. As for the pair plus bonus, the goal here is to get a pair or better, which pays one-to-one or significantly more. Keep in mind, however, that this happens even when the player folds during a regular game. The optimal strategy for the ante/play part of Three Card Poker is pretty straightforward. The only thing to remember is how high the starting cards should be to produce the best possible results in the long run (when played), for example, the queen of four or six or higher, as they would lose less if played in opposition to losses coming from forfeiting the ante. In other words, the way to go is to simply bet with similar high hands and fold with the worse ones. This keeps the house advantage on a nice low level of 3.37 % like if the casino sticks to the full pay table; for example, paying 4 to 1 for the flush and not 3 to 1, etc. Three Card Poker definitely is a lovely addition to the poker group, and playing it can be a lot of fun. The rules aren't too difficult to follow, plus there are quite a few ways to win. And as you can see, with the right conditions and following the optimal strategy, this can be done fairly easily.